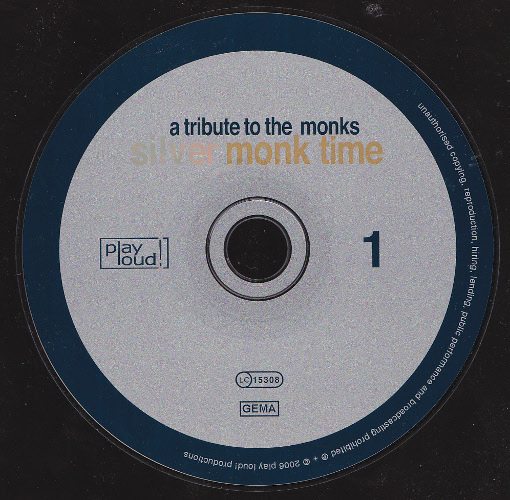 Monks tribute album in double DigiPak sleeve with clear trays and booklet featuring detailed sleeve notes and comments by each artist on the compilation. in 1965 the monks were looking for a new zero point in pop music and created what later turned into the milestone record “black monk time”. 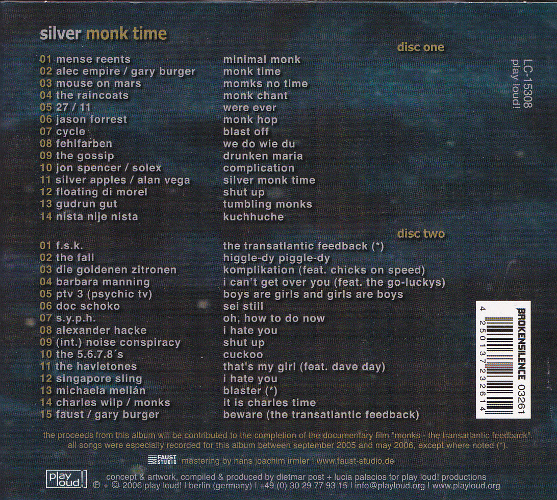 “black monk time” accidentally or intentionally pre-dated several genres that were to come: kraut rock, electronic music, heavy metal, punk, industrial and techno. when the monks in january 1966 launched their “living (pop) art project” at famous reeperbahn top ten club the largest german tabloid “bild-zeitung” wrote “noise, noise and no melody – robot music!”. in july of the same year the monks presented their black record for the first time live on the teenage tv show “beat-club”. to the surprise of many they started the show with an improvised new song, which wasn’t even on the record. 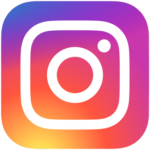 you could call it commercial suicide. 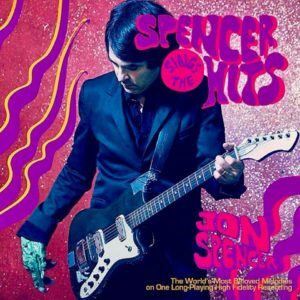 the song itself was archaic, one repetitive beat, three monks beating on gigantic tambourines, an organ gone mad, a guitar on the floor that fed back and at one point was shyly touched by four band members. all typical macho rock attitudes were taken out. 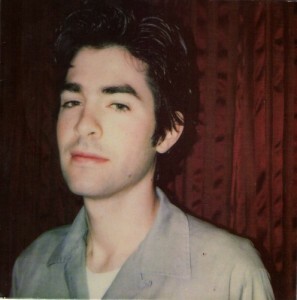 it was pure and swinging joyfulness and seemed to have more in common with avant garde art than with regular pop music. therefore maybe it was misunderstood. 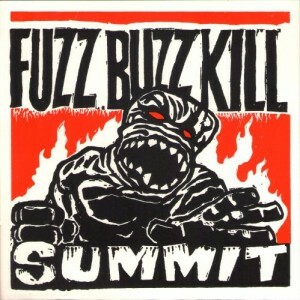 to some degree though it was the end of rock music as we knew it. 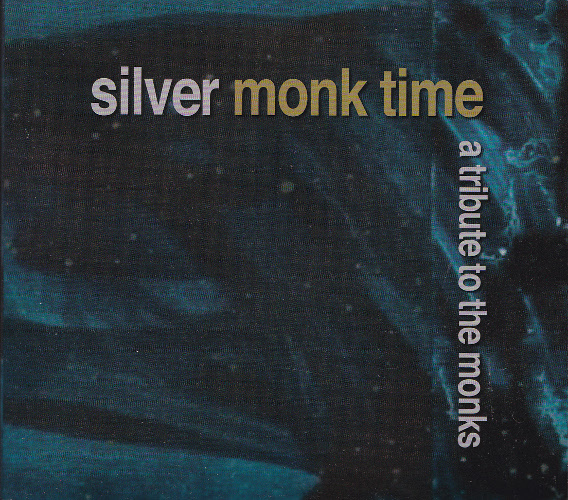 the monks called the song “monk chant”. 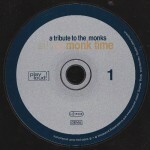 rumor has it that “monk chant” was supposed to be the one and only idea for their second long player. one primitive beat spread out on two lp sides. “the rolling stones are baroque, the beatles for old grannies, you, the monks are playing the music of the future, you are supposed to play the audience into ecstasy,” demanded their two german managers. 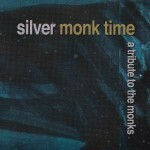 this second (never released) record was to be called “silver monk time”. play loud! is proud to announce 29 international pop bands who continue the musical journey initiated 40 years ago by the seven monks: gary burger, larry clark, dave day, roger johnston, walther niemann, karl-heinz remy and eddie shaw. 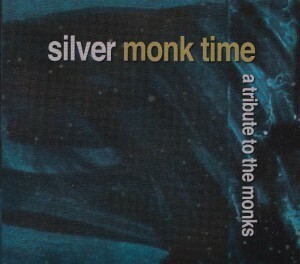 crank it up and enjoy this brand new ecstatic monks record. 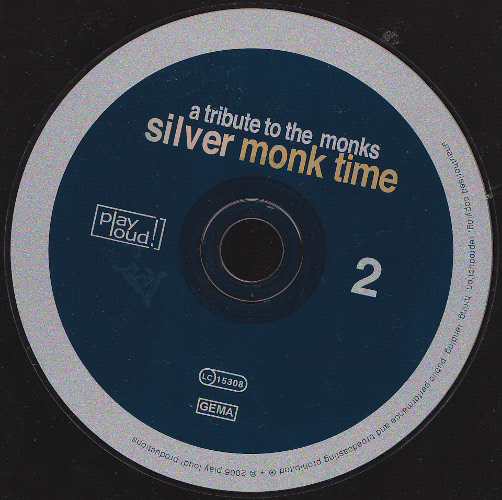 Mark E. Smith and Elena Poulou for giving us the idea for this album when instead of using one the pervious Fall/Monks cover versions they offered to record a brand new monks cover version in support of our documentary film “Monks – The Transatlantic Feedback”. 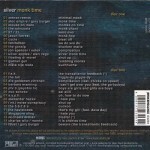 All other musicians and technicians that contributed to silver monk time. Hans Joachim Irmler at Faust Studio for this willingness to go with us onto this revelatory journey and have fun and experiment. Daniel Richter for the wonderful drawing for the movie poster and the permission to use parts of it for the album cover and booklet. Walther Niemann for this continuous interest.